In this research work a novel method for rendering and compositing video in augmented reality is presented. 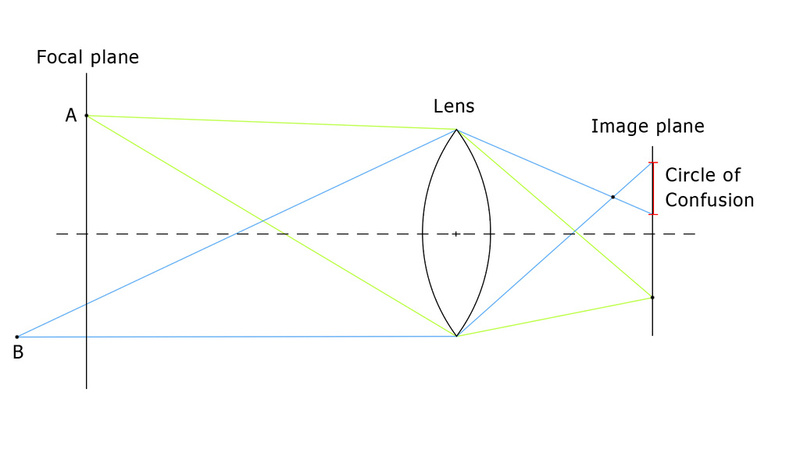 The aim of the research is calculating the physically correct result of the depth of field caused by a lens with finite sized aperture. 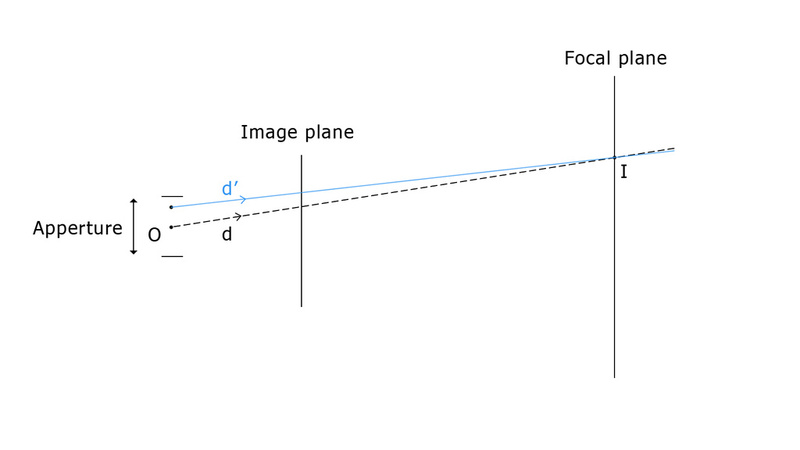 In order to correctly simulate light transport, ray-tracing is used and in a single pass combined with differential rendering to compose the final augmented video. The image is fully rendered on GPUs, therefore an augmented video can be produced at interactive frame rates in high quality. Proposed method runs on the fly and no video postprocessing is needed. 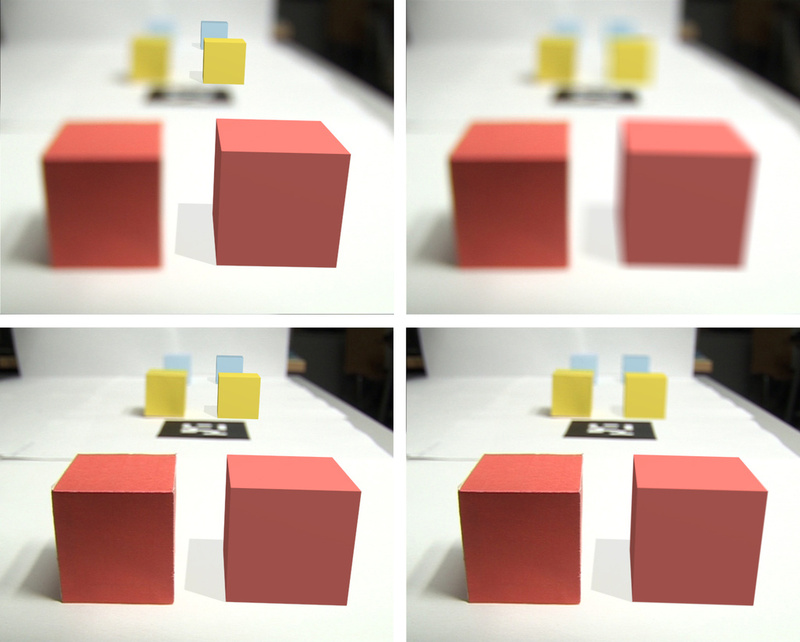 The first image shows a comparison between rendering without DoF effect and with using proposed method. 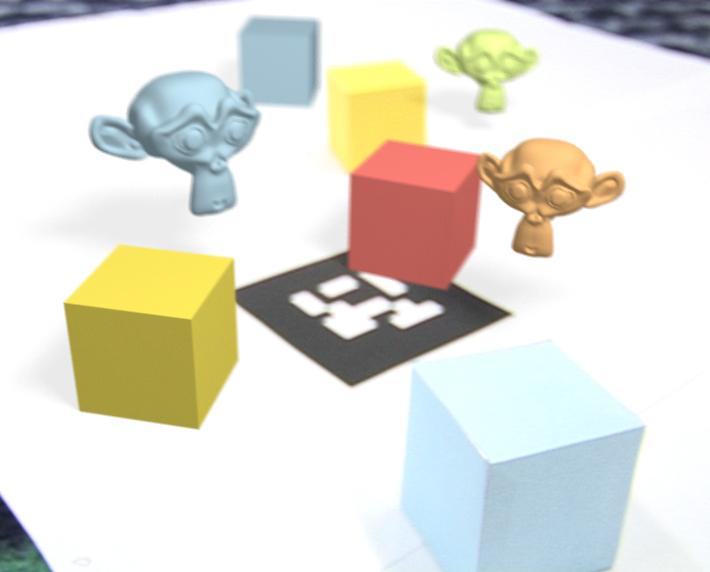 It can be seen that physically correct depth of field rendering increases visual coherence of composited video and virtual objects looks more naturally. 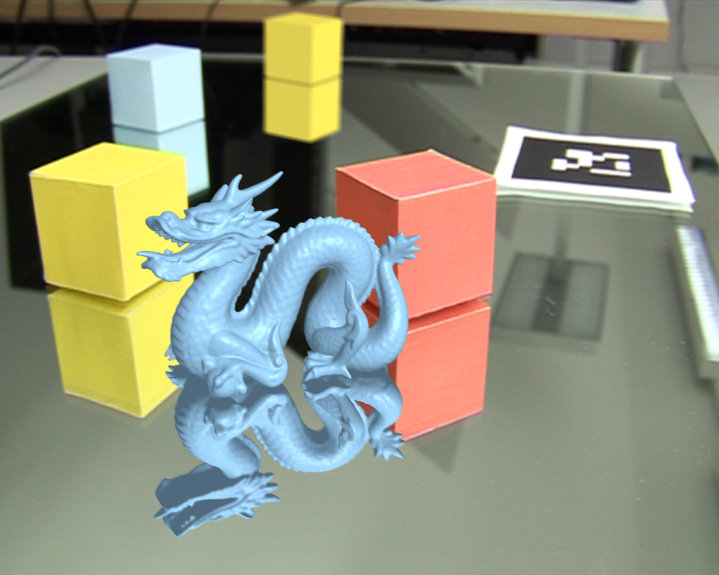 Moreover using ray-tracing in augmented reality allows simulation of various effects like specular reflection or refraction. 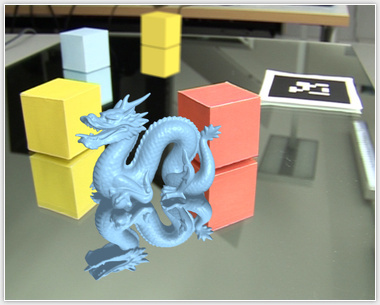 For example above image shows virtual dragon reflected in real mirror. Note the yellow cube in background which is also virtual.